Arguably, the biggest and best attraction in Omaha. The zoo is frequently ranked as the top one or two zoos in the United States and the world. 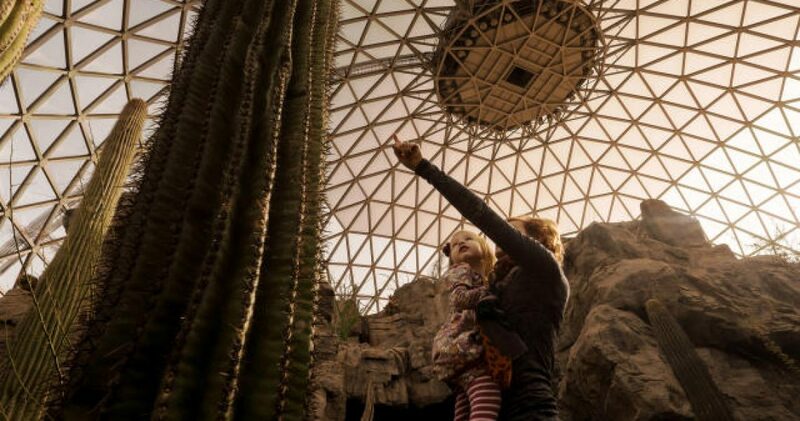 The “Desert Dome” is the world’s largest indoor desert, as well as the largest glazed geodesic dome in the world. The Joslyn Art Museum (The Joslyn) is a fine arts museum near 24th and Dodge Streets. The museum’s exterior is made of impressive Georgia Pink marble, while the interior is made of 38 different marbles from all over the world. The Joslyn has a beautiful sculpture garden covering its grounds and two stunning Chihuly sculptures accentuating the interior. Apart from special traveling exhibits and performances, admission to the Joslyn is free. The College World Series is an annual baseball tournament that takes place in Downtown Omaha every June. The CWS has been held in Omaha since 1950, originally at Rosenblatt Stadium until moving to the state-of-the-art TD Ameritrade Park in 2010. The College World Series comes with a plethora of entertainment outside of the games themselves. Each day of the series is accompanied by attractions like live music, beer and retail tents and side events. Visitors will find everything they need to enjoy the College World Series to the fullest, between the Old Market and NODO Districts. The Durham Museum is located south of the Old Market on 10th Street. The museum is housed in Omaha’s former Union Station. The Library of Congress and the National Archives provide the museum with a range of shows. The museum is an affiliate within the Smithsonian Affiliations program. Lauritzen Gardens is a botanical gardens and arboretum located in south Omaha near the Henry Doorly Zoo. The arboretum and bird sanctuary covers 4 acres and includes various plant communities like: prairie, savannah, oak hickory forest, maple linden forest, farmstead windbreak, marsh, and flood plain river margin. The Joslyn Castle, part of the National Register of Historic Places, is a mansion located in the Dundee/Midtown area of Omaha near 39th and Davenport Streets. In the late 70s, Omaha designated the Joslyn Castle as a city landmark. The famous home was built in Scottish Baronial style in 1903. The 35-room mansion is a popular venue for weddings and celebrations with its superior exterior and lavish interior including a reception hall, music room, ballroom, a library and gold drawing room. In 1917, Father Edward J. Flanagan established a boarding house that became Father Flanagan’s Home for Boys. Flanagan welcomed all boys, regardless of their race or religion and later purchased Overlook Farm in, what is now west Omaha, to expand into what became known as the Village of Boys Town. After a decade, Boys Town grew into a school with dormitories and administration, even electing its own government and mayor. Charged by the President of the United States, Father Flanagan traveled the world, spreading is mission and advising leaders on how to care for displaced children. The Boys Town National Research Hospital opened in 1977 and is a nationally recognized treatment center for children with hearing and speech disorders. The Orpheum Theater is located on 16th Street in Downtown Omaha. Managed by the Omaha Performing Arts Society, the Orpheum has hosted the best of performing arts for more than a century. The original theater was built in 1895; then called the Creighton Theater. Following a great fire in Downtown Omaha, the current, larger theater was built on the same site. 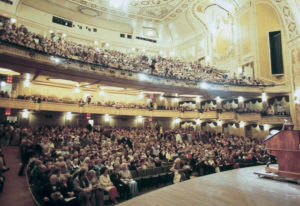 The theater is listed on the National Register of Historic Places and continues to be a popular venue for weddings, galas and other celebrations. Newer additions to the theater include a digital marquee and Skylink enclosed walkway, which connects a parking garage to the theater. The Orpheum Theater Skylink was added in 2004 for increased convenience and accessibility to the Orpheum. The 200-foot-long elevated, enclosed and climate-controlled walkway connects the OPPD parking garage to the Orpheum Theater. The Strategic Air Command & Aerospace Museum is located southwest of Omaha along I-80. The “SAC” Museum is dedicated to showcasing artifacts of the United States Airforce with impressive displays including historic aircrafts, space vehicles and missiles. This is a poplar destination for school field trips as the museum is highly regarded for its educational programs, dynamic programming. According to the Museum’s website, the facility includes: a glass atrium, two aircraft display hangars, a traveling exhibit area, a children’s interactive gallery, a 200-seat theater, a museum store, an aircraft restoration gallery, and a snack bar. SAC is also very close to Mahoney State Park, making it a great destination for a day or weekend of family fun. Located along the Platte River near I-80, the Eugene T. Mahoney State Park has a range of activities available year round. “Mahoney” is Nebraska’s second most visited tourist attraction after the Henry Doorly Zoo. Mahoney is a popular venue for conferences, retreats, and field trips! The Bemis Center is located at the corner of 12th and Leavenworth Streets in the Old Market. The Bemis Center is widely known for its Artist-in-Residence programs, offering sponsored artists an apartment, studio and gallery space for developing new collections of work. The museum showcases more than 20 exhibitions annually, within their three main galleries. The Bemis Center is a great space for educational tours, charity and private events. Founded by a group of local educators, the Children’s Museum is located southwest of the old market on 20th Street. This one-of-a-kind facility caters to the growing minds and imaginations of youth with an innovative concept surrounding the idea of learning through play. In 2004 and 2010, the museum was honored with Leading Edge Awards for Visitor Experience from the Association of Science and Technology Museums. The museum’s Science Lab has been featured on the PBS Kids website.